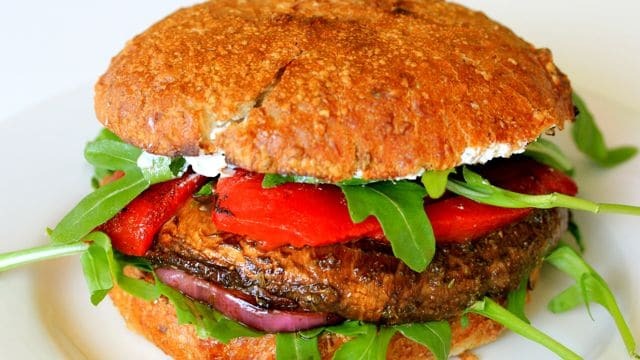 How great to cheer up this rainy day than portobello mushroom burgers! I’m not dedicated enough to flip these babies on the BBQ so I’m grilling the burgers in the oven. Quick Tuesday night dinner with a mouthful of flavour and freshness! Once the burgers are cooked, let them set to soak up the flavour. Cut up your avocado, lettuce and whatever else you would like to add to your burger. Get creative to suit your taste buds.